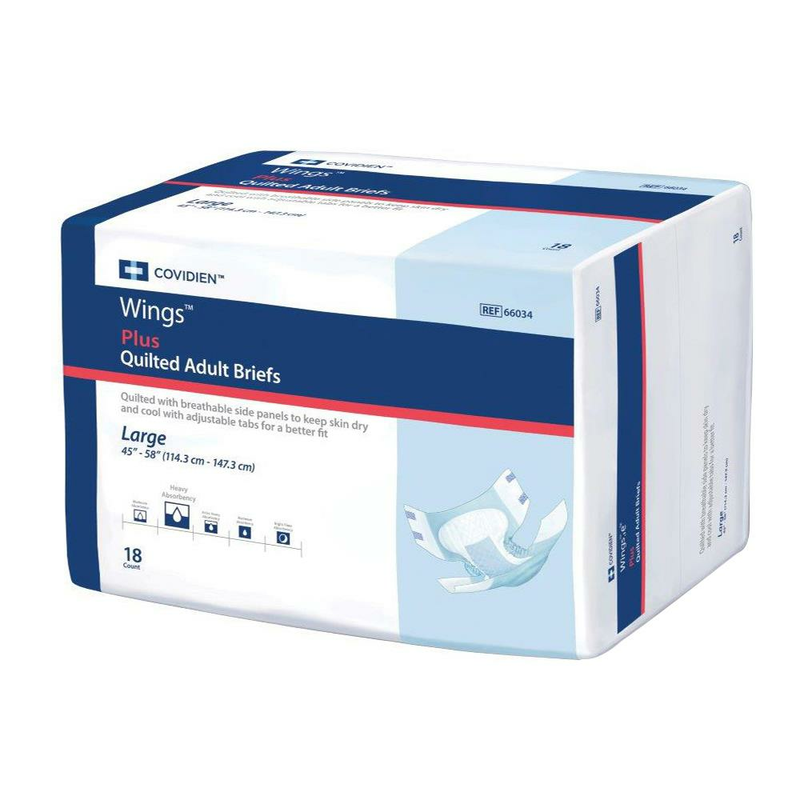 Covidien Wings Plus Quilted Adult Briefs feature a high performance core made up of super-absorbent polymers. The special blue dryness strip makes it an ideal product for heavy wetters and for overnight use. The cloth-like back sheet is quiet and breathable for enhanced comfort and dignity. The anatomically contoured mat provides maximum absorbency, dryness and odor control. Buy Heaven Scent Scented Hygiene Bags for a discreet and odor-free disposal of your urinary or bowel incontinence products. The super absorbent core is designed to lock the fluid inside away from the skin keeping the skin dry and healthy. It also locks and neutralizes unpleasant odor to maintain user dignity. The soft and comfortable cloth-like backsheet is ultrasonically bonded for a quilted look and feel. It offers a quieter, discreet, and dignified solution for people with incontinence issues. 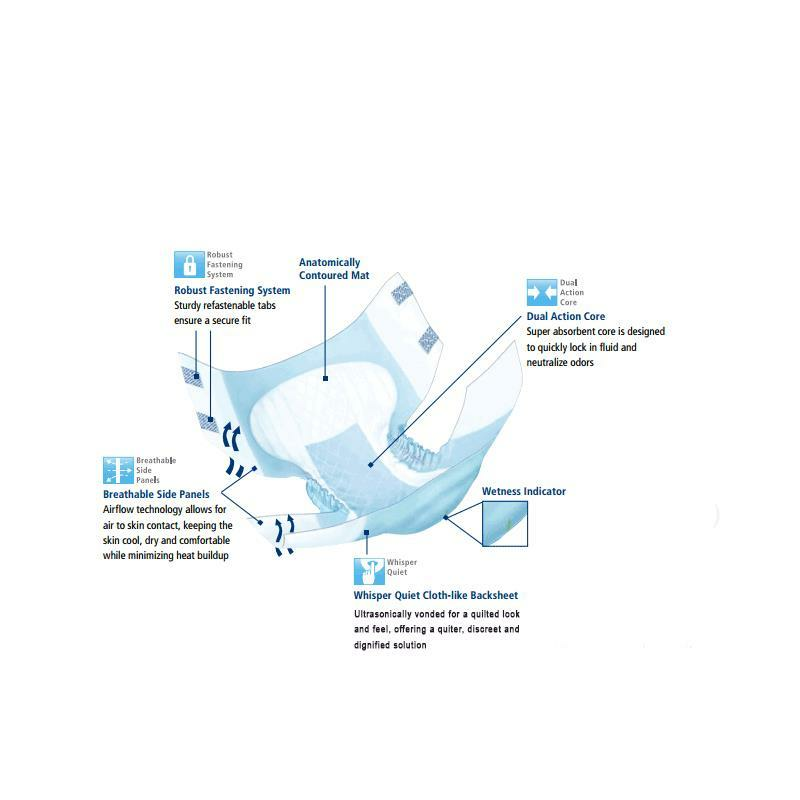 The Airflow technology of Wings Plus Incontinence Tab-style Briefs allow air to reach the skin keeping it cool, dry and comfortable thereby minimizing heat buildup and rashes. Make sure that you have the correct size incontinence brief. Using a larger a brief may result in leakage, discomfort, skin breakdown, and added cost. Make sure the elastic gathers fit snugly in the creases of the legs. This reduces the likelihood of leakage. Make sure the flexible gathers are positioned outward. If turned in, leakage and skin irritation can occur. Place brief beneath resident. Create a log roll by folding the front wings of the brief back with the soft, inner area facing the resident. Bring roll up between legs and over abdomen. Unroll over the abdomen, smooth side panels. Make sure the brief is fitted snugly. Positioning the tape tabs: When the brief has been positioned snug to the body, the bottom tabs must be angled up to ensure a snug fit around the leg to avoid leakage. The top tabs must be angled down at the waist to ensure a snug fit and prevent the brief from slipping down when the resident is standing or walking. Use only one absorbent product at a time. Thank you for your inquiry. This brief has Hook and loop fastening which is not impacted by creams, lotions, or powders. Breathable Side Panels: Allow more air flow for drier, healthier skin, while moisture-proof lining prevents leakage. Quiet Comfort: Non-woven, cloth-like inner AND outer cover is softer and quieter, providing comfort and dignity. Refastenable Grip Tabs: Micro hook-and-loop tabs, not sticky tape, are soft, flexible and can refasten anywhere on the brief. 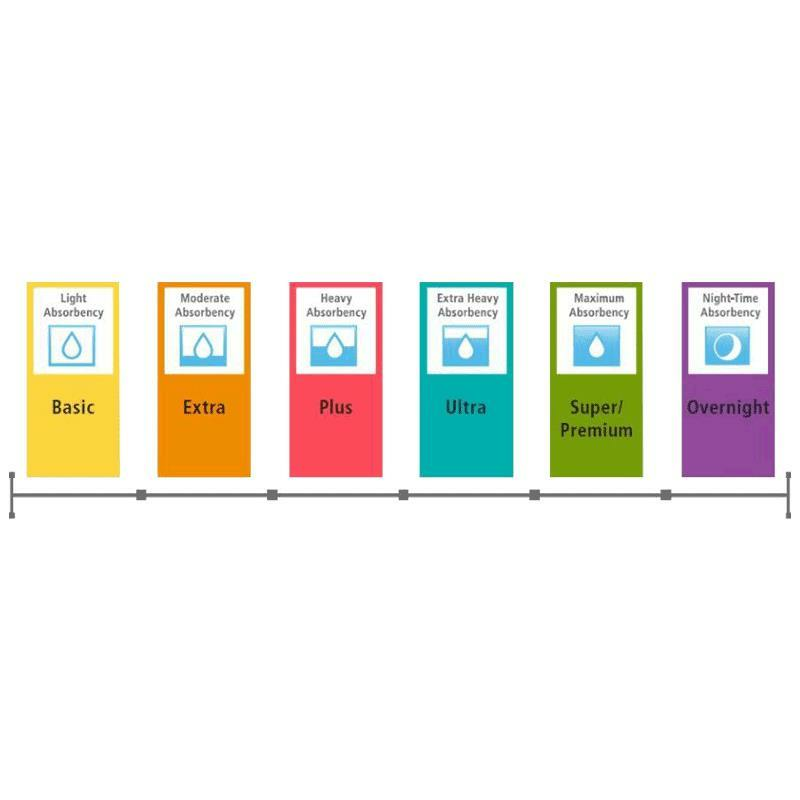 Improved Dryness: Combines super-absorbent polymers with a high performance blue dryness strip. Fewer Changes: Choose the Overnight briefs for fewer nighttime changes & improved sleep.